I just learned today the sad news of the death of Sidney Coleman, yesterday at the age of seventy. Coleman had been in quite poor health in recent years. I wrote about him here back in 2005, after attending a conference held at Harvard in his honor. Update: More from Betsy Devine, Lubos Motl and Sean Carroll. Darn it. I am sick and tired of people dying! I know I sound silly, but I am serious. Today I learned Michael Schmidt, a colleague in CDF, also died – and he was quite young. May he rest in peace. And I want to remember here another friend who died only a couple of weeks ago, Riqie Arneberg, a non physicist with a bright mind who avidly read physics blogs. Sorry Peter for the off-topicness. Meaning absolutely no disrespect to his family, it sounds like it was a release from a lot of suffering. Parkinsons disease is a wretched illness. Link should be working now. I second your recommendation to people that they should check out the comments! My Favorite Sydney Moment was his impression of an electron under various symmetry transformations – fisrt he walked across the room, then he walked across the room backwards, then he walked across the room backwards in the other direction. I was bad at QFT, but I loved Sydney’s Lectures. A lively Sidney Coleman invading a closed New Jersey county fair, to wax philosophical about the universe is a treat for all in the DVD, `Stephen Hawking’s Universe, vol.3′. I think the lesson of Sidney’s later years, is to treasure the masters who walk amongst us while we still have them. Soon, we will probably lose John A. Wheeler and other great spirits whose timeless contributions to physics were apparrent at the SidneyFest. A recent Godel-Fest article at the IAS by Dyson, mindbogglingly recounted how new post-docs were casusally told by Oppenheimer to “avoid Einstein” , as he was `totally out of touch with current physics’. Can anyone imagine avoiding asking Einstein out for lunch, so as to not have to hear about unified field theory ?? He was an excellent physicist. I hope he knows what breaks electro-weak symmetry now. Note that Sidney Coleman is mourned by the professional Science Fiction establishment, because of his outreach to and partcipation in this speculative discipline. Sidney was a good man… a decent man… and in many ways a capable physicist. But in the end, he was a limited man… sadly, sadly limited. And his time had come and gone. His scientific world was a world of crabbed, cramped limitations, so-called rules, and unimaginative, arbitrary restrictions like “unitarity”, “self-consistency”, “not adding complex numbers to grassman-valued numbers”, and so on. He, like so many of his kind, had the soul of an accountant and the imagination of a Soviet bureaucrat. and his bigoted worldview of “consistent physics” had come crashing down around him, leaving his legacy in deep disgrace. But why should I go on beating a dead horse? Today, the Coleman era has passed. Smolinian “seers” such as myself and the author of this blog are finally dealt our just rewards — FQXI grants, book deals, talk-show appearances, not to mention promotional T-shirts and coffee mugs with our revolutionary theories embossed on them — all the indicia of true scientific success. Meanwhile Coleman and his degraded heirs — the soi-disant “string theorists” — stand on the brink of a vast obscurity. Very funny. You sadly fail at satire. Sidney Coleman lives on through the people he knew and taught, and through his brilliant works (his book of lectures Aspects of Symmetry, his Harvard lectures written up by R. Ticciati as the book Quantum Field Theory for Mathematicians, etc). “… Sidney was not interested in string theory; he wasn’t even particularly interested in supersymmetry …”. Since Sidney Coleman was Jacques Distler’s Ph.D. adviser, Jacques Distler’s assessment of Sidney Coleman’s attitude toward string theory is probably accurate. If “Garotte Lazy” were to try to defend his statement by saying that since Jacques Distler is a string theorist and also a student of Sidney Coleman, a string theorist is in that sense an heir of Sidney Coleman, I believe that I would find such an argument to be specious. Posting stupid attacks on people from behind various juvenile pseudonyms is completely unprofessional. Dragging the reputation of a beloved and admirable person into this at a time that his corpse is not yet cold, with the claim to be his “heir”, is in addition morally repulsive. How can you insult my dead husband by calling him “lazy” and a “moron” ?? Don’t you dare speak ill of my poor, dead Richard, do you hear me? “Mrs. Feynman”=“Garotte Lazy” = “moron” = “Richard Feynman”, and is a regular reader of this blog from a Linux machine at the IAS running an IAS customized browser. He posted the same thing at Lubos’s blog, where Lubos writes that he finds it inappropriate and wishes that he had deleted it before people started commenting on it. I was a student of a PhD student of Coleman’s. I read ‘Aspect of Symmetry’ closely as a grad student and prior to that watched videos of Coleman’s lectures (e.g. ‘Quantum Mechanics in Your Face’ about the Bell inequalities / EPR / hidden variables etc) and prior to that heard many stories. So, I was saddened to hear about this loss. That said, I would like to *STRONGLY* second the idea that it is *EXTRAORDINARILY* inappropriate to use this loss as an opportunity to engage in polemics. No time, no place for those comments, not even in your wildest dreams you will get something similar to a a Sidney Fest to honor you. By the way with your last citation, De mortuis nil nisi bonum. “No one can speak ill of the dead,” embarrasingly you contradict your whole comment. I still don’t quite understand what *EXACTLY* Sidney Coleman contributed that merits such deep reverence for him after his demise; was he like Weinberg – i.e. a very intuitive and thoughtful field theorist – or Feynman – a highly creative and original thinker; or simply a good teacher who taught at (world-famous) Harvard – and hence his stature? Sidney Coleman’s writings don’t seem particularly any different from that of other well-cited physicists. Peter, couldn’t have said it better, even though I tried. sad news that Sidney Coleman has died, just as his famous theorem is in the news again. (I’m enjoying all the recent comment on the recent Lisi paper on the physics blogs). Sidney will live on through his work and his students. Re a historical point, did you know that the first proof of the ‘impossiblity’ of combining internal symmetries with the Poincare symmetry of space-time was furnished by the Irish physicist Lochlainn O’ Raifeartaigh? (my late father ). The ‘O’Raifeartaigh no-go theorem’ was a hugely controversial result at the time and brought quite a few PhD studies to an abrupt halt – see Dyson’s book ‘Symmetry Groups’. My understanding is that the debate was finally closed when Coleman and Mandula published a generalization of the theorem. Given the controversy, it seems a pity that the original theorem is never referred to now (although it is liberally cited in the Coleman-Mandula paper)…in other words Dad got all the flak but is now forgotten! That said, I don’t really understand the details of the difference, being an experimentalist. Sidney Coleman was an extremely smart man who, in his prime, knew an incredible amount of Physics. When he graduated from CalTech, Gell-mann wrote him a recommendation letter saying “Coleman knows more physics than anyone I know with the exception of Feynman”. He was also a very pleasant man. RIP, Sidney Coleman. Thanks for writing. Your comment did encourage me to look at one of Coleman’s papers on this that was in a book on my bookshelf (“Seven Types of U(6)”, in “Mathematical Theory of Elementary Particles”, edited by Roe Goodman and Irving Segal, proceedings of a 1965 conference). Coleman mentions the O’Raifertaigh theorem in a note at the end of the article, characterizing it as saying that if you have an exact finite-dimensional symmetry group including both Poincare and internal symmetries, then all particles will have to have the same mass. 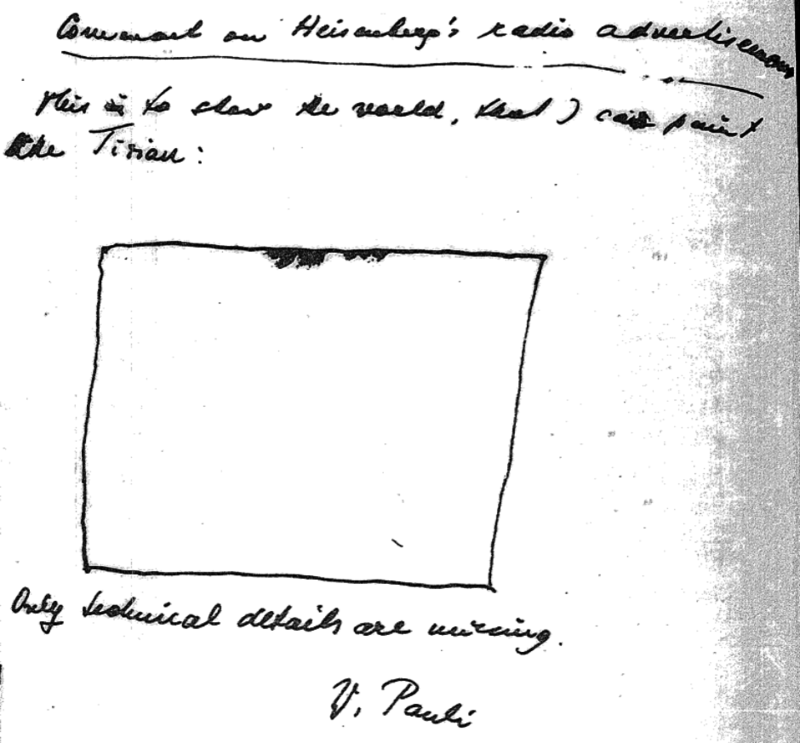 He claims this is a weaker result than what he is after (the paper was written at a time that he suspected, but did not yet have an argument for what was to become the Coleman-Mandula theorem), since it allowed the possibility of constructing non-trivial theories combining internal and space-time symmetry, as long as the particles had the same mass. Recall that at the time, this was all about working with symmetries that were known to be only approximate anyway, e.g. flavor SU(3). One of the main sources he lists is the proceedings of a conference held at Trieste in May-June 1965. I remember seeing this many years ago. There were a huge number of papers by people trying out all sorts of variants of large non-compact groups as possible symmetry groups including SU(3) and space-time symmetries. It was remarkable to see both how quickly people started working on this after the discovery of SU(3), and how quickly they stopped as the no-go arguments became apparent.